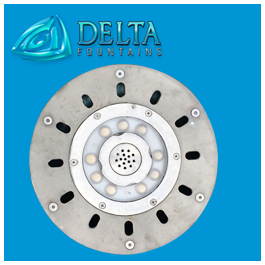 Delta Fountains’ Control Panel may be customized for any type of water feature. 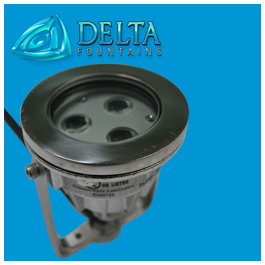 Made of galvanized steel, each enclosure features a removable sub-panel for mounting components. 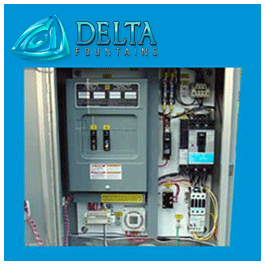 Control Panels may be complex enough to support large animated features, or small enough to run a small floating fountain. 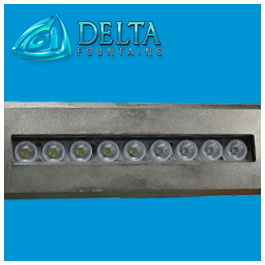 Panel sizes and components are dependent on the type of fountain and the complexity of musical and light programming. 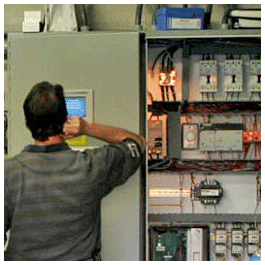 Our electrical specialists are capable of programming each panel with several different shows, ready for everyday use and for special seasonal occasions. 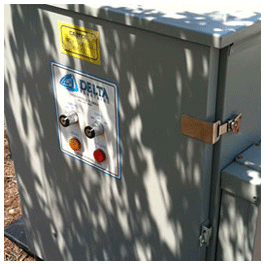 Panels may be mounted in a variety of locations and surfaces, including fiberglass vaults, equipment rooms, or outside if necessary (shown below). 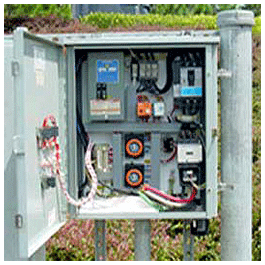 Panels can also be free-standing (off the ground), wall-mounted and ground-ready. 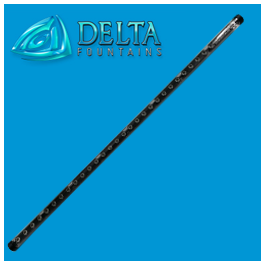 Delta Fountains’ panels are used in fountains all over the country, including in the mechanical room of the September 11 Memorial fountains. 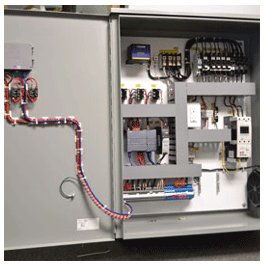 For more information about our control panels and their components, contact us today.